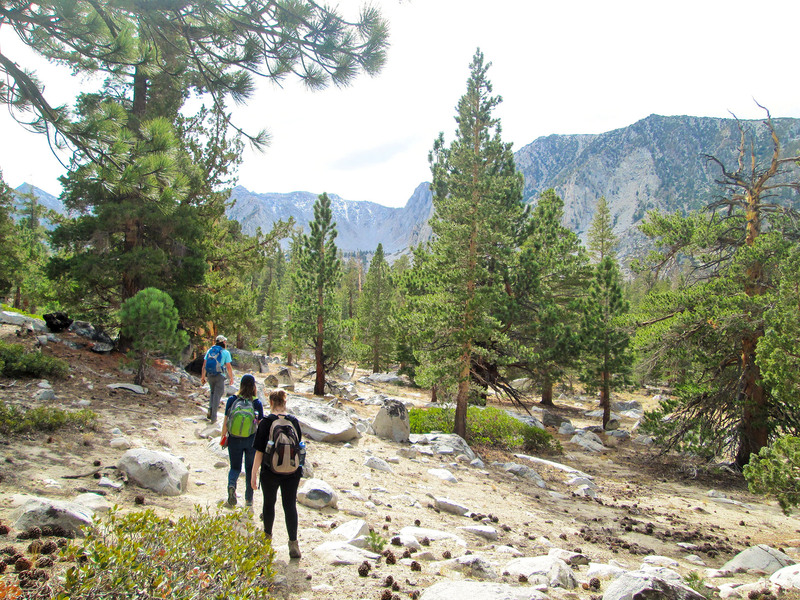 Elena Watts and two other Carolina students hike in the Sierra Nevada Mountains during their "Field Geology of Eastern California” field trip. Each October, eastern California shifts gears. Leaves change color, waterfalls diminish to trickles, and the wildlife inhabiting this stunning landscape prepare for winter. UNC geologist Drew Coleman stands near a cliff face in Yosemite National Park, excitedly describing the surrounding topography to a small group of Carolina students. It turns out that the mountains, valleys, and glacier-carved rock features of this region are changing, too, but much, much slower. “Field Geology of Eastern California” is a first-year seminar course taught by Coleman and Allen Glazner, another geology professor at UNC. It engages students in original research projects of their own design, which was the aspect of the trip that hooked Watts — she loved the challenge and process of doing research and gathering data in the field. Watts is hoping to publish her results in The Journal of Geophysical Research: Earth Surface, where the scientific paper she wrote is in review. Her work has already served as the basis for a grant proposal that funded both graduate and undergraduate research in Coleman’s lab. As for herself, Watts is busy writing a senior honors thesis and applying for graduate school — all while completing her senior year at Carolina. Watts has presented her work at the Geological Sciences Student Research Symposium and UNC’s Increasing Diversity and Enhancing Academia (IDEA) program conference. This November, she will present at the Geologic Society of America Conference in Indianapolis, Indiana, to share her work with the geology community, network, and learn about different graduate programs. Looking forward, she’s discovering new areas of geology that pique her interest. 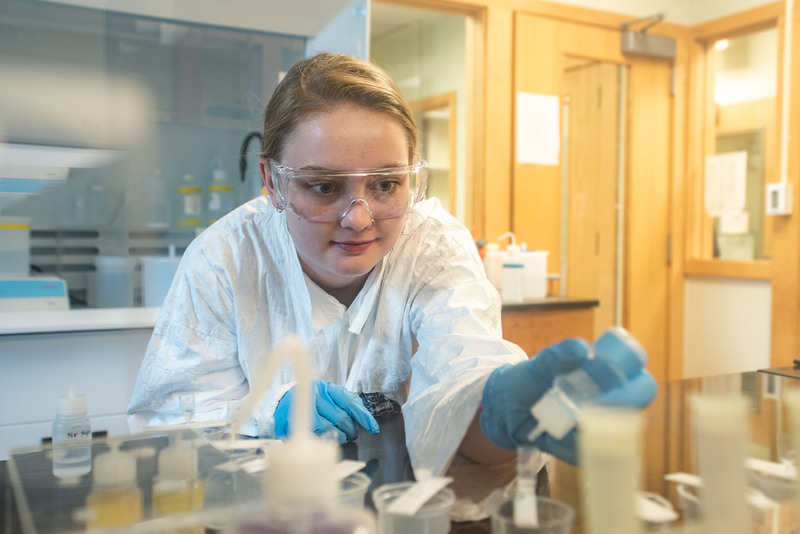 For her senior honors thesis, Watts is examining isotopes in ancient magma from Greenland, as part of a larger project headed by Alan Boudreau at Duke University. With this project, and perhaps for graduate school, she is shifting her focus from rivers to magmatic rocks. “I’m fascinated by hotspot volcanism,” Watts admits. “Geologists are still trying to understand how or if it’s related to plate tectonics, and I am really interested in that question.” Volcanic hotspots are thought to occur when tectonic plates travel over magma plumes in Earth’s mantle, creating a chain of volcanos over time. The Hawaiian Islands are perhaps the most famous example of this. “Maybe I’ll even branch into geochronology, which is all about dating rocks,” she continues, adding that in such a diverse field, the possibilities are endless. And in the geology department, both Coleman and Watts agree that the people are invested. For students, research opportunities are there for the taking. Elena Watts is a senior majoring in geological sciences within the UNC College of Arts & Sciences, and a student assistant in UNC’s Geochronology and Isotope Geochemistry Lab. She received funding for her research through the Increasing Diversity and Enhancing Academia (IDEA) program and the Walter Wheeler Fund. Drew Coleman is professor and chair of the Department of Geological Sciences within the UNC College of Arts & Sciences.